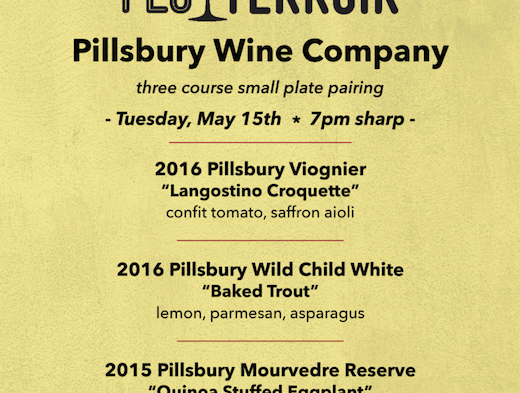 Our monthly “Third Tuesday Pairing Event” will feature wines from “The Pillsbury Wine Company”. We will feature some of our favorite wines from The Pillsbury Wine Company paired with amazing dishes from our own chef KBar. This month we will have an extra special treat, Owner Sam Pillsbury will be co-hosting the event! As usual seating is limited and the cost is $40 (tax & gratuity included.) Advanced Ticket purchase required and are available here on our events page.